Do you ever feel the need to do something different, change a situation or learn something new? This month, explore our latest National Library Week Library Guide. 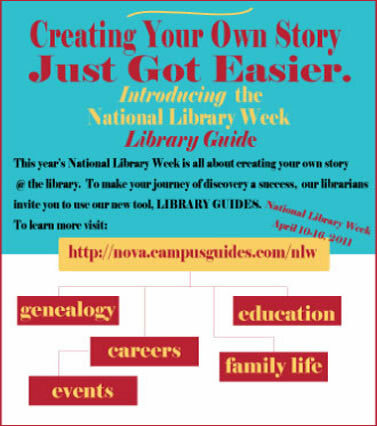 This guide was created by our librarians in honor of National Library Week's theme, Create Your Own Story and features a wide range of resources to help you do so! 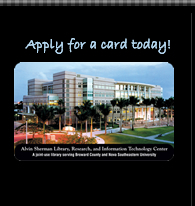 Whether you want to trace your family roots, investigate a new career or learn something a new activity, you can begin your journey at the Alvin Sherman Library online or at our facility. It's never to early or late to creating your own story! 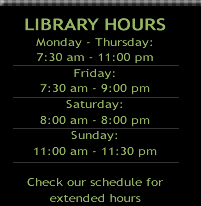 If you are interested in discovering other handy dandy Library Guides, click here. This month's adult computer camp features a New York Times database that's perfect for the history lover. Click here to explore to explore this fascinating New York Times (1851-2006) database. What is the Family Literacy University? Learn how to develop the six early literacy skills your child needs to be ready to read. Explore the world online in a relaxed, one-on-one environment with sites recommended by the American Library Association’s Great Websites for Kids committee. Celebrate National Humor Month with silly stories and songs that make you laugh out loud! Take humor home with a hilarious craft. Featured books include Silly Sally by Audrey Wood and The Seals on the Bus by Lenny Hort. Click here for fantastically funny books! Celebrate National Library Week with books about libraries, including Amelia Bedelia, Bookwork by Herman Parish, Bats at the Library! by Amy Hest, and The Boy Who Was Raised By Librarians by Carla Morris. Create your own story @ your library with stories, songs and a fun craft! Celebrate National Poetry Month and Earth Day with fun and funny poetry books that celebrate nature! Craft your own poem to share with family and friends. Click here for great books about Earth Day! In honor of El día de los niños, El día de los libros, Guin Guin the friendly clown delights children with silly stories in Spanish and English. Get a free globo (balloon)! 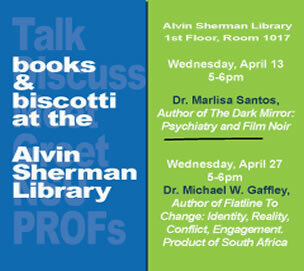 Thursday, 7: Books at the Beach! 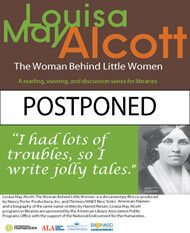 Children will explore the world through literature while developing pre-reading skills. Featured books include S is for Sunshine: A Florida Alphabet by Carol Crane and The Deep Blue Sea: A Book About Colors by Audrey Wood. Click here for books about the beach! Celebrate National Library Week with books about libraries and reading! Featured books include Read to Your Bunny by Rosemary Wells and Maisy Goes to the Library by Lucy Cousins. Thursday, 21: Spring into Storytime with Beetles & Bumblebees! Join us as we celebrate spring with books about insects! Featured books include Bumblebee, Bumblebee, Do You Know Me? by Anne Rockwell and Beetle Bop by Denise Fleming. Click here for books about beetles & bumblebees! Every day is Children’s Book Day! Celebrate a year of linking all children to books, languages and culture as nationally acclaimed storyteller Carrie Sue Ayvar shares classic stories in English and Spanish. 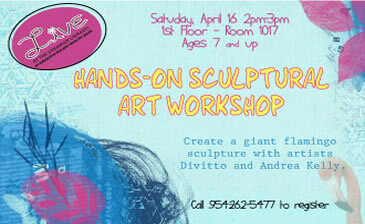 Create a giant flamingo sculpture with artists Divitto and Andrea Kelly. The couple’s unique sculptural creations have been exhibited throughout the United States and Europe, and their work has been commissioned by Parrot Jungle, Celebrity Cruises, the World Wildlife Fund, and many other companies and organizations including Nova Southeastern University. Pre-registration required. 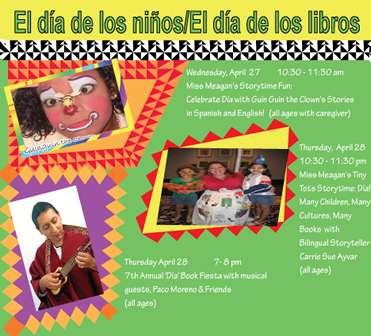 Celebrate El día de los niños/El día de los libros (Children’s Day/Book Day) with Latin music, dance, and storytelling! Enjoy musical performances by young singers Ava Lantona, Jason Rosenberg, and Nikki Nunziato; flamenco dance performances by Gracie Rivero and Daniela Palacios; authentic South American folk music performed by instrumentalists Paco Moreno, Evan Chaupis, Andres Morales, and Camila Moreno; and storytelling by band leader Paco Moreno. Hang out in our new Teen Room! Play PS3 & Xbox360 video games, watch movies, or even do homework! Open after school and on weekends just for teens ages 13-18 whenever a Teen Room Host is available. Find us on Facebook! 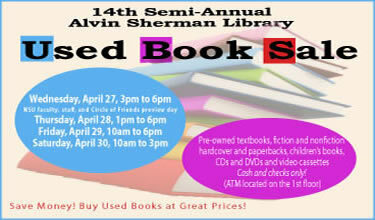 “Like” the Teen Events at the NSU Alvin Sherman Library Facebook Fan Page at http://www.facebook.com/AlvinShermanLibraryTeenEvents and receive info on upcoming teen events for ages 13-18. Come share your favorite video game codes and strategies while you play PS3 and Xbox360 in the Teen Room! Like to draw, design, and inspire? Join fellow artists in the Teen Room to practice your skills and share techniques. Bring your own materials. This month’s book is Lord of the Flies by William Golding. After becoming stranded on a deserted island following an airplane accident, a group of schoolboys face the dark realities of survival. This month’s book is The House of the Scorpion by Nancy Farmer. In a future where humans despise clones, Matt enjoys special status as the young clone of El Patrón, the 142-year-old leader of a corrupt empire nestled between Mexico and the United States. Come discuss plans for our upcoming teen events and participate in the TAB elections for new officers! This month’s book is Baseball in April and other stories by Gary Soto. Through a collection of short stories, poet Gary Soto expresses timeless themes of love and friendship. 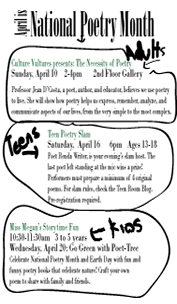 Celebrate National Poetry Month with poet and slam host Renda Writer. The last poet left standing at the mic will win a prize! Performers must prepare a minimum of 4 original poems. 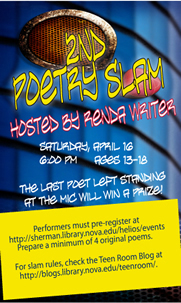 For slam rules, check the Teen Room Blog. Pre-registration required. Earn community service hours for school! Visit the PLS Desk on the first floor of the library or here for applications and instructions. Applications must be submitted prior to orientation and applicants will be contacted via email on a first come, first serve basis to attend. Limited spaces are available. If you’re a Boomer who is retired or will soon retire and you are thinking about starting your own business or are a small business owner already wanting to accelerate growth or add a social impact component to your business, you won’t want to miss the Boomer Entrepreneur Initiative. These workshops are presented by the Florida Women's Business Center (FWBC) and funded by the Community Foundation of Broward. The FWBC is a program of the TED Center. Registration is required. Max 15 persons. Professor Jean D’Costa, a poet, author, and educator, believes we use poetry to live. She will show how poetry helps us express, remember, analyze, and communicate aspects of our lives, from the very simple to the most complex. Join us as we discuss Mockingbird by Kathryn Erskine. 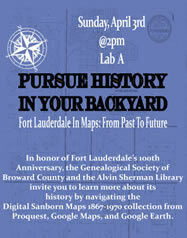 Researchers and history buffs will love this database. Search for articles and page images in back issues of the New York Times. Find historical headlines, news stories, book, film and theater reviews, obituaries, and advertisements. Skills prerequisite: Typing and keyboarding, mouse skills.